January | 2016 | Discovered ... Right Here! 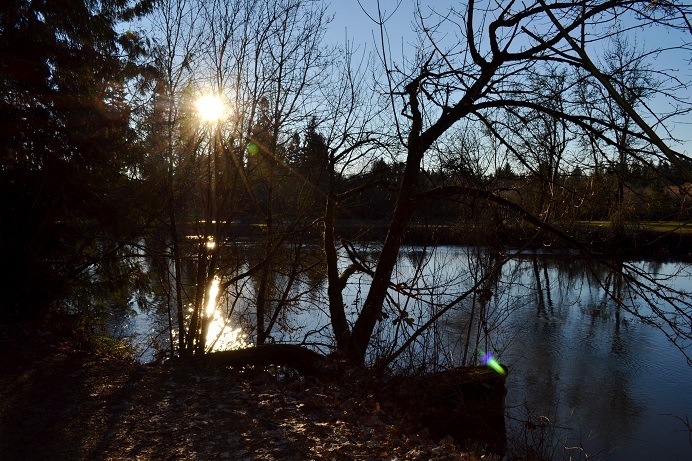 Tucked in the corner of Tigard, nestled up to the Durham and Tualatin city lines, is the 79 acre Cook Park. 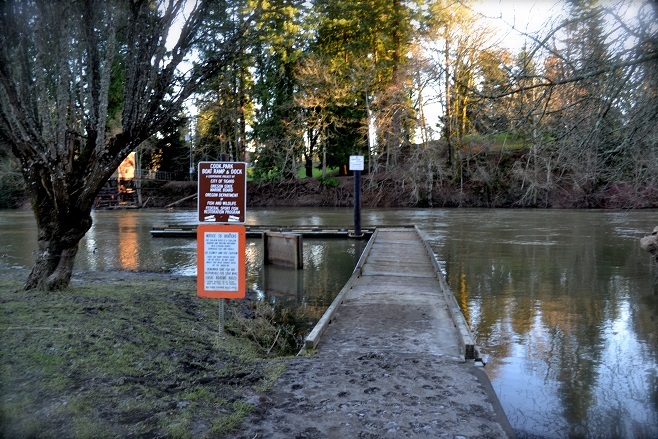 With the high school on one side (just on the other side of the surrounding wet lands), Tualatin River running along the opposite edge and the Tualatin Community park adjoining on the Tualatin side, Cook park is quite large. It is the largest in Tigard actually. With baseball fields, soccer fields, a butterfly garden, horseshoe trenches, woods, a river with boat landings and more, plenty of fun activities abound. It seems every summer Sunday, Cook Park is packed with families playing, bar-b-q-ing and hanging out. 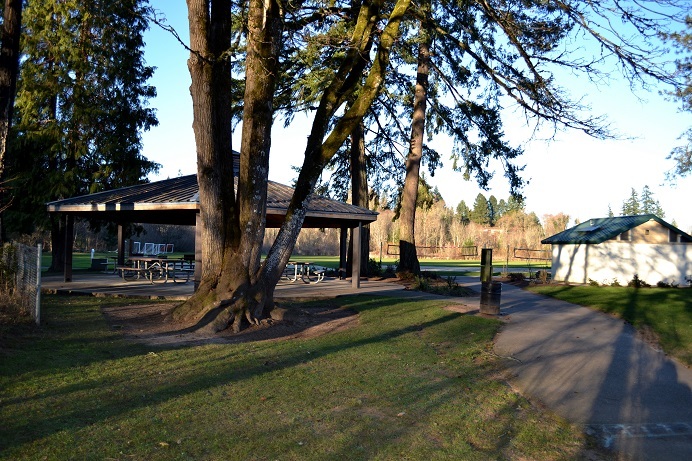 There are several picnic areas with bathrooms, along with dozens of picnic tables. I am surprised I have not featured this destination here before (and I apologize for the lag in posting this too!). It is a secluded and yet accessible spot I enjoy often. These photos were taken on the very chilly January first of this year. With every frosty breath sparkling in the bright winter sunshine, I knew I had to keep moving to keep warm. I marched quickly along the park paths to keep from freezing. Despite the chill, I was not alone. There were quite a few other walkers, many with their pup-companions. 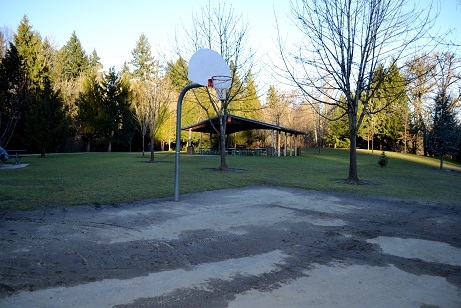 With the warmth of spring and summer coming, give Cook Park a visit. I know I sure will be.